« I love the smell of red oak in the morning. When will we “Turn on the heat”? Up for debate recently has been the question of how long we should hold off on using the wood stove. Last year, we didn’t get the stove installed until after Christmas. We used (minimally) a couple space heaters till then. The previous year, at the previous house, we used the space heaters until New Year’s Eve, then turned on the furnace. 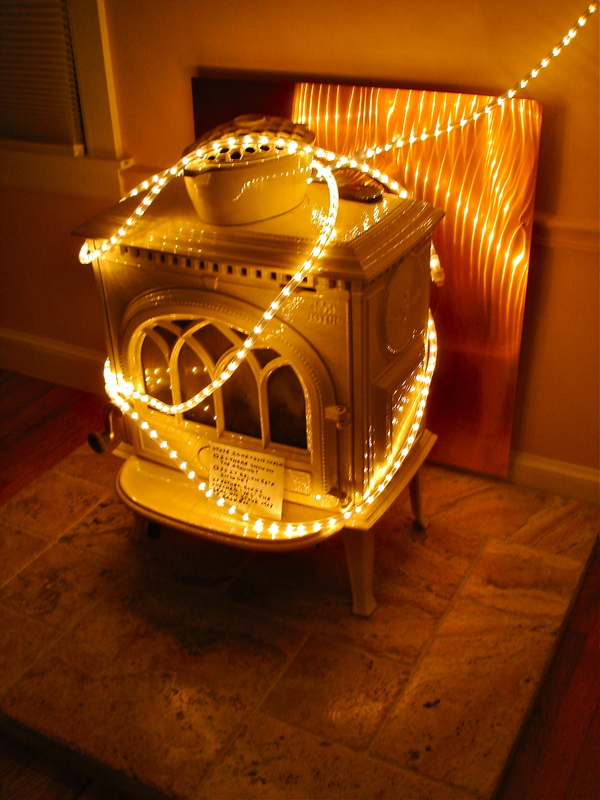 Therm for therm, the wood stove certainly is much thriftier, and arguably more environmentally friendly, than an electric space heater– this would argue for going straight to the stove, skipping the space heater phase. On the other hand, a space heater is portable, and the wood stove is not. The stove is good for keeping the whole house above freezing; the space heater is good for a bit of spot heat when you need it. Also, it’s hard to get just a tiny bit of heat out of the wood stove– whereas the space heater can easily be be dialed down to “just a hint of warmth”. Anyway, we discussed it today, and came to a consensus on criteria for first fire. 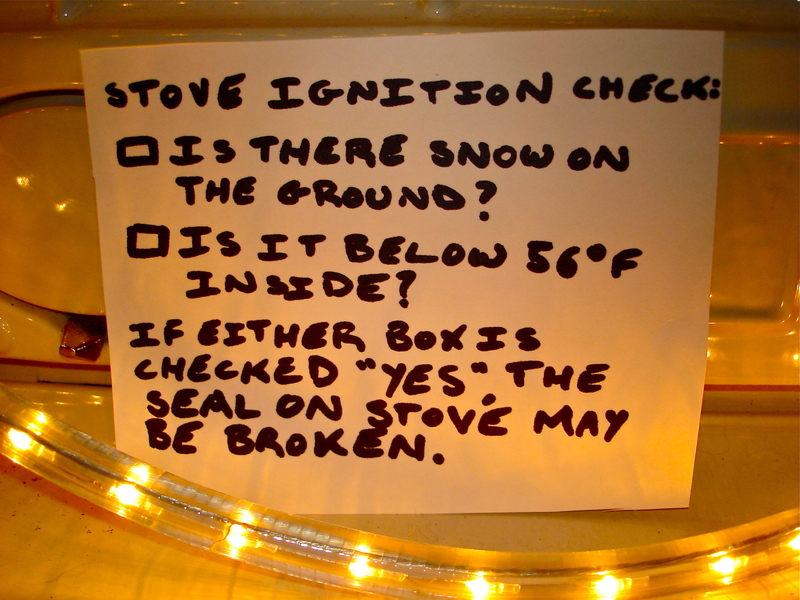 Actually, J. proposed the parameters– I just agreed with them, and made the sign for the stove. This entry was posted on September 26, 2010 at 8:54 pm and is filed under Uncategorized. You can follow any responses to this entry through the RSS 2.0 feed. You can leave a response, or trackback from your own site. 56 degrees???? You’re going soft. It was around 56 in my bedroom last night!